​It remains unclear whether ​Crystal Palace manager Roy Hodgson will complete the signing of a striker he so desperately craves before the transfer window slams shut on Wednesday, after Championship outfit Preston North End denied that they had reached an agreement to sell striker Jordan Hugill to the London club. ​BBC Sport reported early on Tuesday morning that an £8M transfer fee had been agreed between the two clubs to allow Hugill to make the step up to join the Premier League side. In spite of this, however, ​Lancashire Post believe that no such thing has happened, with ​Preston claiming that they have not received any contact from Palace about the player. If a deal is to happen Palace will have to move quickly, with the window closing at 11pm tomorrow evening, and Hodgson will no doubt be pleading with his board to put up the necessary money to bring the 25-year-old to Selhurst Park. Crystal Palace are in talks with Championship club Preston over the signing of striker Jordan Hugill. Hugill has found the net eight times in 26 appearances for Preston in the ​Championship this year, with his last goal coming on New Year's Day 2-3 loss against ​Middlesbrough. Palace are one of the lowest scoring sides in the ​Premier League having only managed 22 goals in 24 games, and are looking for another attacking option to give their side a bit more firepower. 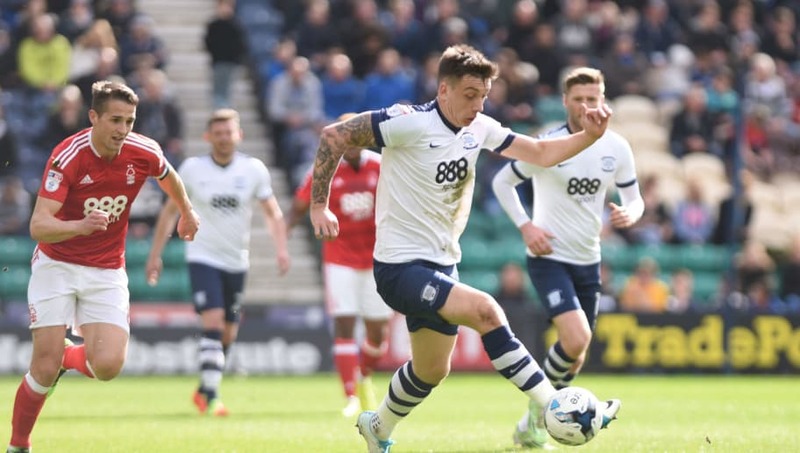 Preston rejected an offer from ​Reading in the summer for the striker, however, and seem reluctant to let the ex-Port Vale player go, meaning the Eagles may have to increase their bid in the next few hours if they are to have any chance of landing Hugill. You're an absolute club legend! Strong, wise and massively respected by your teammates. You're fiercely committed, outspoken and love to get stuck in! A leader of men who commands respect and demands only the best. You would run through walls for your team! Commanding in nature and a warrior on the pitch! You're the talisman and a class apart from the rest of your team. You're not the loudest, or the bravest, but you deliver the goals and the results! You are the absolute heartbeat of your club. A 'Captain Fantastic' that can do it all and leads by example. Which of these terms best describes you as a captain? You're 1-0 down and the team's playing bad, how do you respond?